I placed 1 scalp trade today and that was it. I've got a lot of studying to do. 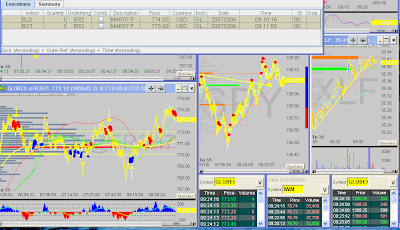 So far my strategy would have done good today considering the day has been range bound. The whole idea of shorting VAH and buying VAL and taking profits at VWAP or POC would have worked nicely on a day like today. My chart setup with my indicators still need some fine tuning for giving me more precise signals based off of volume spikes when outside of 70% of the volume range. 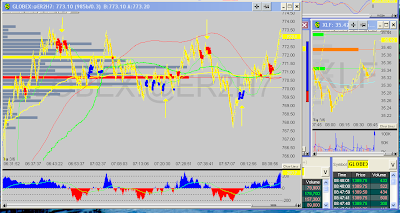 My strategy looks good for range days, however I need to study expansion days against my system as well.